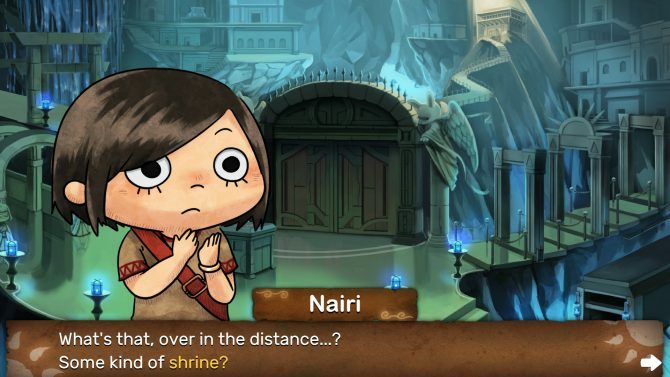 Nairi: Tower of Shirin is a point-and-click visual novel that has a great story behind it and challenging puzzles to give your brain a workout. 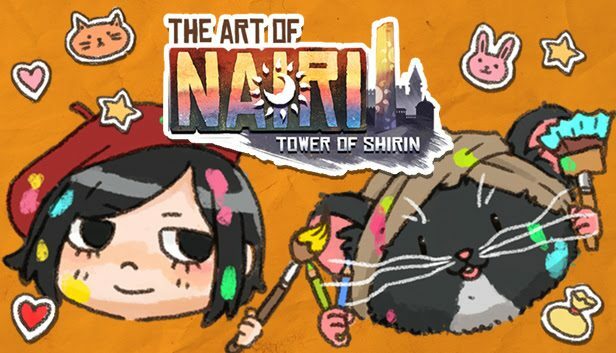 You might take control of a young, upper-class girl who grew up isolated from society due to her over-protective father’s fear, but that doesn’t stop Nairi becoming a strong protagonist in Nairi: Tower of Shirin. A story filled with mystery, discovery, lies, and friendship, this point-and-click title looks visually wonderful and tells a strong story, but ends up feeling like a back-and-forth slog that starts to wear thin. The titular human being, Nairi begins her journey in her rich district of Shirin who nods off at her desk and her world is shaken as she awakens. Her tutor, a Raccoon, barges in telling her she must leave the house and not return after her parents have been taken. Nairi winds up being smuggled out of the district to avoid capture, then finds herself being kidnapped by bandits. Not a good day for her, in all honesty. Eventually, she makes it back to Shirin with the goal to find Rex, who lurks in the lower districts of Shirin, where she witnesses communities she’s never seen before. The two wind up investigating the Tower that Rex has been learning about, but soon, the duo realizes they have larger roles ahead for themselves. A magical ancient world begins to unfold and is told so wonderfully while being easy to follow. It’s also deep on lore and the history of the city. Oh, and the residents of Shirin are mostly various types of animals that talk and act like human beings. Nairi: Tower of Shirin is told through on-screen text which at first might sound rather uninteresting and dull, but there’s a charm to the way the game tells its story. It’s a visual novel that boasts beauty in its simple, yet captivating art style, using character avatars and subtle text manipulations to convey emotion and drama through voiceless dialogue. Quiet self-thoughts are illustrated as timid fonts, with loud speech being larger than normal. Additionally, colors come into play ensuring the player associates keywords, hints, and objects. For example, red usually indicates an enemy or an important object. You’re able to read through the text at its standard rate, but a skip feature allows you to hold the X button ?on the Switch? to make the text speed by. 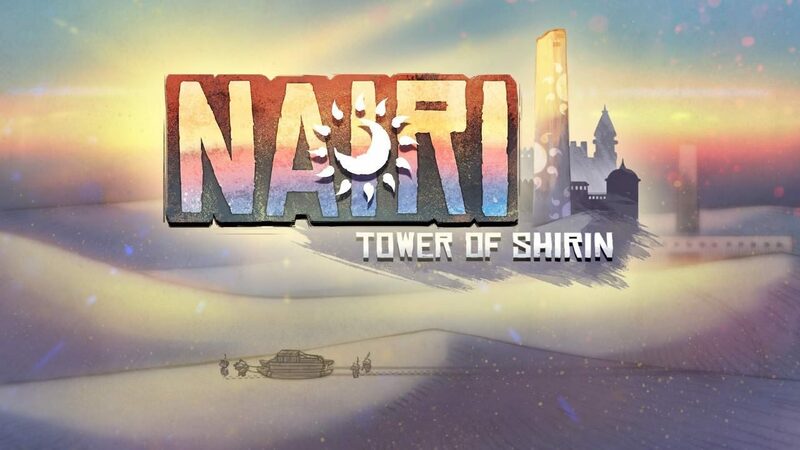 Nairi: Tower of Shirin may feel as if there’s more reading than playing, but really the balance between story reading and gameplay is well crafted. You’re required to go through various static frames of a location, some allowing you to venture through doorways or openings that lead to another area with slightly animated characters. 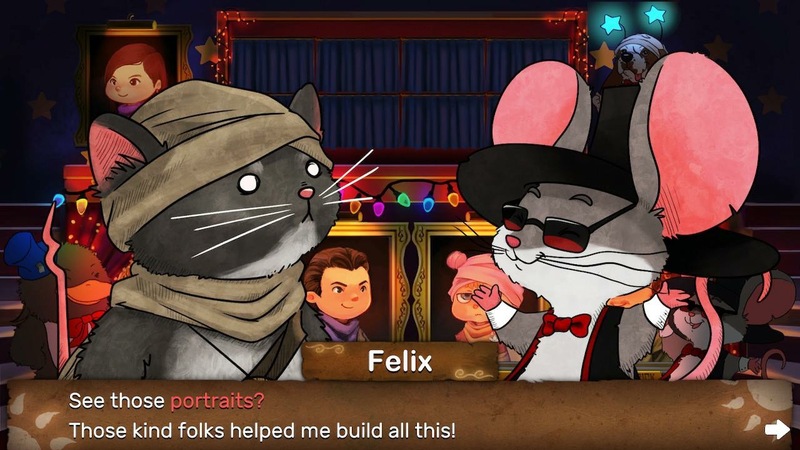 Nairi has taken great inspiration from point-and-click titles from the past. Most of these locations will require you to pick something up, combine an item with something in the world, give an item to someone, or just talk to one of the townsfolk. The world lives and breathes with various creatures, nearly all of which nearly can be spoken to. They will offer you hints, gossip, or other irrelevant natter that adds a charming personality. Some characters directly speak to you, others you eavesdrop in on, and some just talk out loud to themselves. You’ll find that most characters who are able to help you will want something in return, and this often results in a lot of going back and forth between areas. This can wear very thin considering the overall pace of the game. 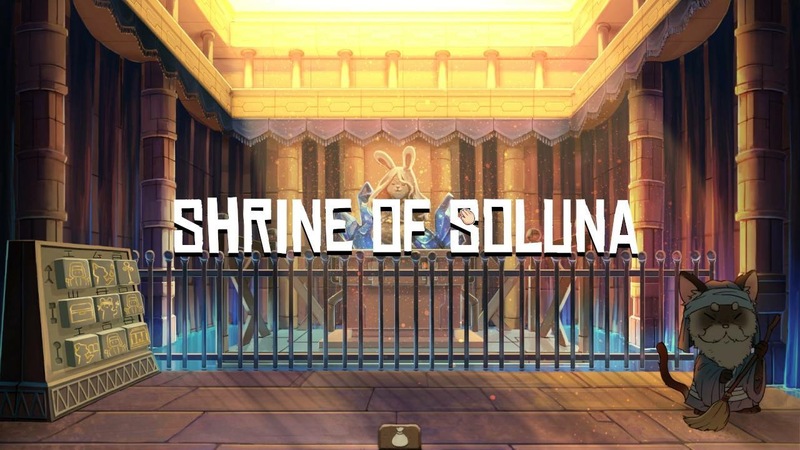 My main gripe with Nairi: Tower of Shirin was that with every single location change, even if it’s just to the room next to you, there will be a slight loading screen. While not a huge issue if you’re planning on spending time in that next area, it’s a huge annoyance having to wait through various black screens as the next area loads before reaching your desired location. The world doesn’t play out in a smooth 60fps but instead is more unique in that most movements in the game utilize a digital storybook style of having various frames of artwork blend together frame by frame. Characters when speaking fade away and fade back in with a different pose or emotion rather than just changing, essentially giving the game a mellow mood, a simmering of peace amongst brain-bending puzzles. On top of that, the visual tone clashes with the dialogue. Where the visuals are often grungy in the poor districts, the dialogue counters that feeling by being enticing and humorous. Hidden around the world of Nairi: Tower of Shirin are coins that you can collect. These are worth collecting as later in the game it’ll save you time having to go back-and-forth through various locations trying to find coins in order to progress. You’ll no doubt find them anyway after repeatedly tapping the interact button on literally every object in the area trying to find a damn brick. The UI is essentially barebones, keeping a lovely cinematic feel that draws more attention to the world rather than icons and figures. However, this also means that your cursor is fairly small, and when it changes icons over points of interest ?such as going from a neutral circle to a magnifying glass? it can be hard to notice. The objects you can interact with in the world don’t entirely stand out either, which makes it more challenging to find items but can end up being too hard. With no glowing hint system or text-themed goals, you’re instead left to decipher Rex’s journal that contains hints to main objectives through the use of vague drawings. After spending two hours stuck with one puzzle it became clear that there needs to be more in-game help for those that struggle. 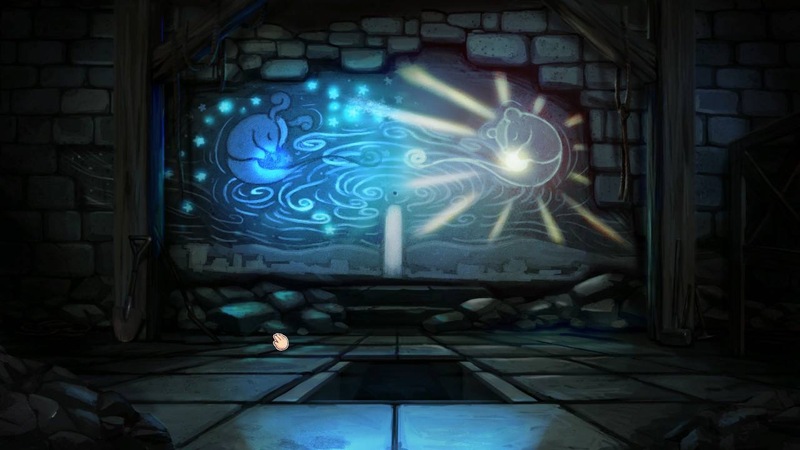 Perhaps a simple hint from Nairi talking to herself, such as, “Hmm, these look like they belong in the floor somewhere.”, or “I must remember to find the paintings for the artist”, just to gently nudge the player in the right direction. Especially if you need a reminder after spending a while away from the game. 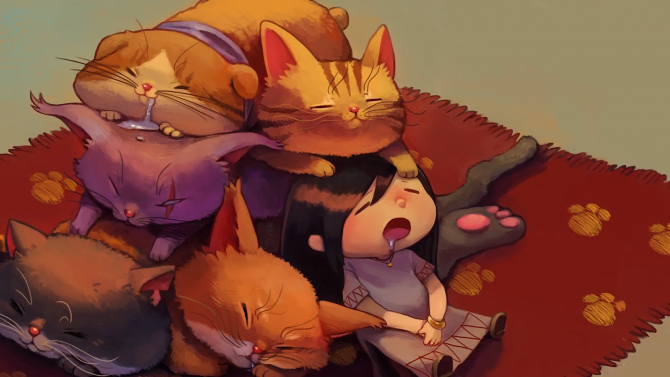 What interests me about Nairi: Tower of Shirin is how it feels like a visual novel in one moment, a point-and-click adventure in another moment, and then an escape the room style game in another. It’s not a case of mistaken identity, but more so carefully blending these moments together in subtle ways. I enjoyed this transition between moments, but after struggling to solve a puzzle after a while, I’d find myself pushing on, desiring the next moment that awaited me. 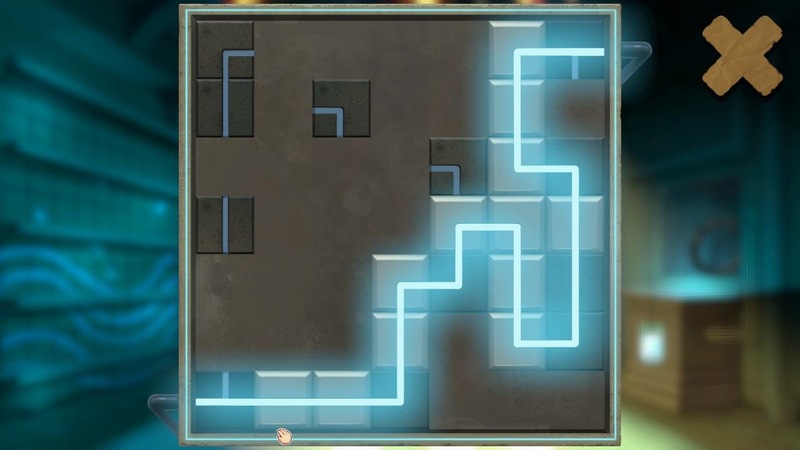 As you progress, the puzzles do become a lot harder and sometimes with multiple tasks to achieve. Having no log to remind you what you’re looking for can lead to the game becoming a bit overwhelming, although you do get the option to re-watch previous cutscenes. Controls on Switch are interesting, allowing you to play Nairi: Tower of Shirin through the touchscreen, with the Joy-Cons, or by using the motion sensor in the Joy-Cons to move the cursor around the screen fluidly. I found the different controls that can be utilized at any moment worked great with productivity. If I was focusing on the story I’d use the Joy-Cons, if I was just playing it while laid back, the touchscreen felt great, and if I was growing bored of using the analog stick I could just rotate my wrist. There were also some bugs that have been slated to be patched up in the Nintendo Switch Patch 1.02, but they made my time with the Switch version of the game a bit tedious, causing me to restart the game multiple times. While the bugs aren’t really worth bringing up for this review, they did teach me that it’s worth manually saving as much as you can. While you do get prompted to save your game after you reach key points in the story, failure to manually save after difficult puzzles can lead you to re-doing the entire section again. There was also the issue of trying to see symbols when playing Nairi: Tower of Shirin handheld because they were so small. It was in this moment where an extra button input to allow zooming in would have helped a lot with assessing the environments more. Far too often I overlooked areas of the screen because the items blended into the darkness too much. Nairi: Tower of Shirin has remarkable, gentle humor with great storytelling and challenging puzzles that will keep you thinking for hours. While it may not offer much for a second playthrough, it is only part of a “saga”, and the possibility of a continued story is exciting and one I’d very much welcome. The number of characters leaves possibilities for future DLC or spin-off stories related to specific characters as well, and there’s a section in the story where you can unlock concept art for a couple of coins if you’re a fan of that type of bonus content. 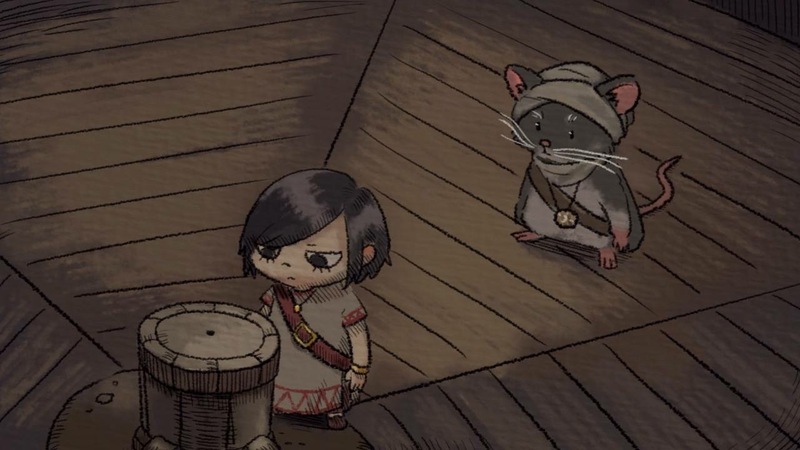 My time with Nairi: Tower of Shirin was both a real test of brain power with tough puzzles but also a charming retreat in which I lost myself within a story that captivated me. The art style keeps the title visually pleasing throughout, and the twists and turns kept it interesting. The controls feel fantastic on the Switch and it ideally should be your platform of choice for this title. However, I would have been more content if I was allowed more specific hints in-game, and the option to zoom seeing as the Nairi: Tower of Shirin has a strong focus on the smaller details you’ll no doubt overlook.